We know the main power of social media is amplification. Be it a piece of good or bad news, stories are more widely shared than ever before. So when you turn on the news, refresh your Facebook feeds, scroll through Twitter or Instagram accounts, or even chat with a friend these days. You’re likely to hear about another brand or individual suffering yet another social media-induced crisis of some kind. It seems that every day or every week there’s some or the other social media disaster. Brands need to recognize, and become savvier and tighten up their operations. They should seek professional help to advise them on strategy, use powerful monitoring tools and equip their staff with necessary skills. India is a lucrative market for social media firms and has vast potential to grow big, so make sure you have a documented social media policy. When you have clear guidelines for your employees on what to post and what not to post, You lessen the risk of someone going rogue and sending your social media profiles into chaos or a mess. Employee Advocacy can effectively deliver multiple benefits to the brand. It can lead to big business benefits internally and externally. If you show that you treat your employees well, and your employees talk about it, people are going to trust them, and they are going to trust you and that‘s how you will build your brand. Whether employees publicly identify where they work, when they engage on social media platforms or not, people know and they are listening to them. Related: What is Employee Advocacy? And Why is it so Important? Utilize social listening and move ahead of potential issues. If done well and consistently then, social listening can help you prevent issues from turning into a full-blown crisis. By listening intently, you can measure how people are feeling about your brand, and over time, you’ll understand the difference between complaints and a significant change in sentiment of consumers towards your brand. If you see a sharp increase in brand mentions, you’ll notice that right away as well. Having a communication plan will enable you to respond quickly during the crisis. Your goal should be to respond within an hour or the same day of the crisis being spread. Sooner the better, before things get out of hand. How you’ll internally communicate about what is happening? The most important point to keep in mind is that people will be looking to you for a response, and you need to be as quick as possible. This can be as simple as acknowledging that there’s a problem and letting people know that more information will be coming soon. You need to pause all the posts you have scheduled for the day. You can’t post silly memes or fancy posts in the middle of something serious happening. This will only make your brand look insensitive and brutal. So avoid them till the entire thing settles. Defending yourself too early, or angrily responding in the heat of the moment, will just create doubt of your sincerity. Just apologize and don’t argue. If you’ve already posted that you’ll be responding soon, you have time to create a video or official company statement or a post. In the meantime, keep your responses as short as you can, and try to stay away from getting baited or trolled into another storm of what went wrong. 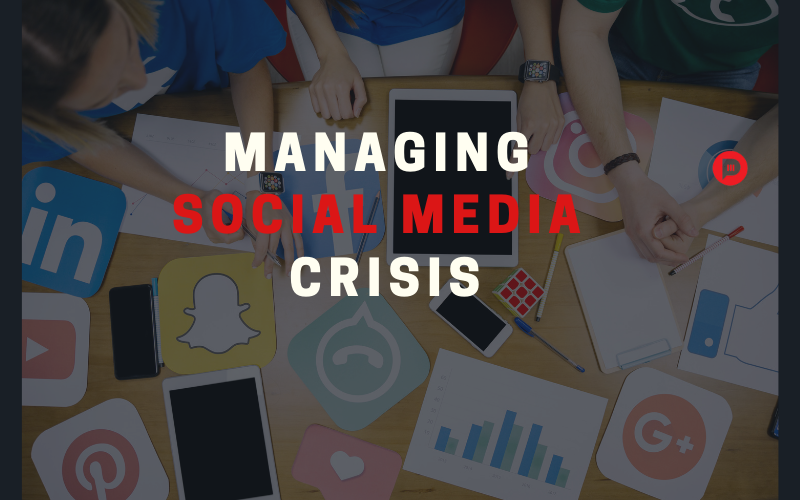 Mistakes happen, and more brands will see a social media crisis occur than those who don’t but the key lies in responding quickly. In a transparent way which shows your customers, and prospective customers, that you truly care about them, how much they mean to you and are willing to go the extra miles to prove, you are the brand they think you are! And I am sure, these tips will help you steer in the right direction. Previous Article5 SEO Recommendations That Matter the Most!